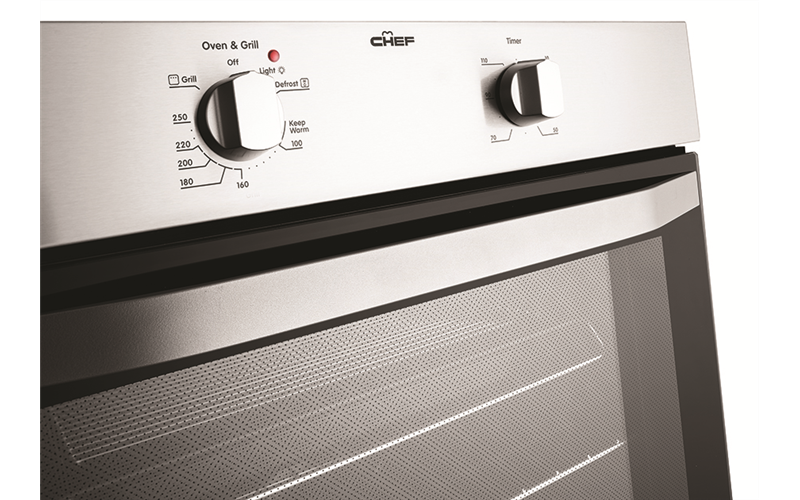 Electric Single Oven is rated 4.8 out of 5 by 12. Rated 5 out of 5 by Jessie88 from Love my new oven!! I bought my oven two months ago and haven’t found any faults! Super quiet function and does its job well! Glad I supported an Australian made product. Rated 5 out of 5 by Sarahs from Very happy with product Bought this about a month ago. Heats up very quickly. Easy remove door for cleaning. Very happy overall with the quality for this price. 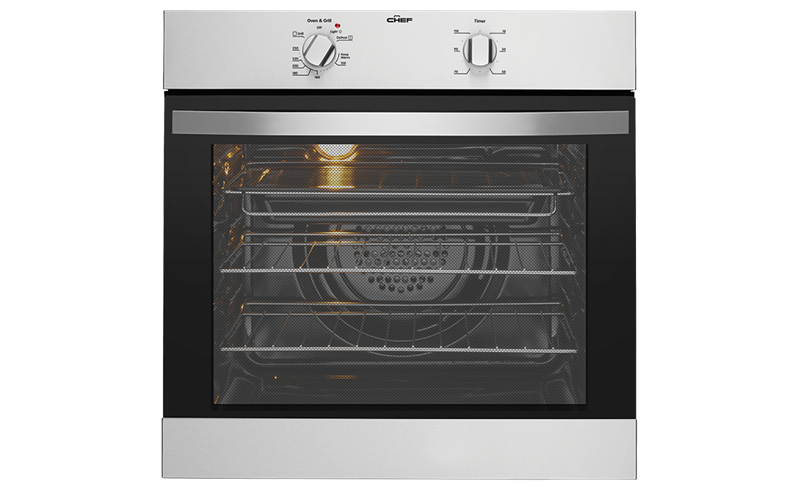 Rated 4 out of 5 by Cathral from Simple to use and it works I bought this oven about 6 weeks ago and am very happy with it. It had a funny smell at first, probably should have wiped it out or something and had it on for an hour without cooking anything. But now it is excellent. It's really easy to use. It bakes evenly throughout the oven, the temperature is true to expectations. The grill is easy to use but quite hot, so don't leave stuff in for by long. Also it was really easy to have installed. Rated 5 out of 5 by Aniker from Good Quality I bought this a month ago and Iam very happy I chose the Chef. Top quality for the price. Everything it says it is is accurate. Great size inside oven and easy to clean. Would definately recommend it as well as the excellent customer service. Rated 5 out of 5 by Nitish from Good product I bought this appliance a month ago and i am very happy with the product so far its good value for money.